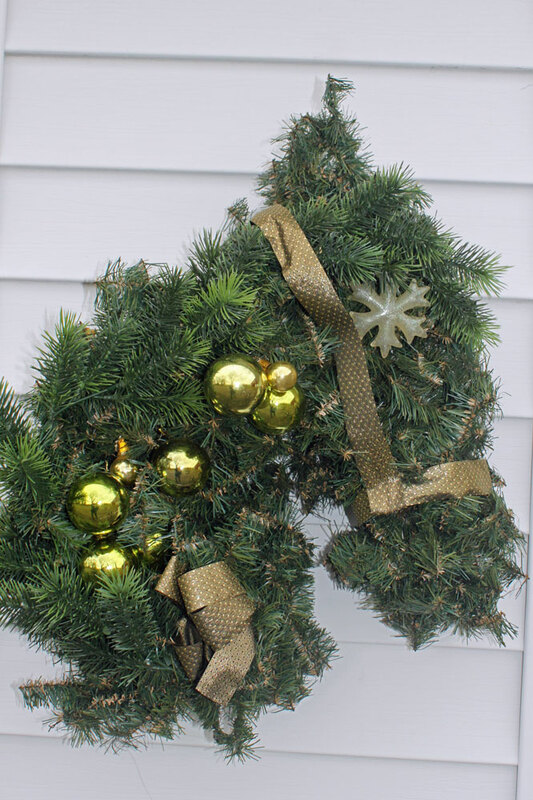 Collect two wire coat hangers, at least one 8-10′ length of garland, wide ribbon, pine cones, anything that could look like a mane, some shiny things and a hot glue gun. 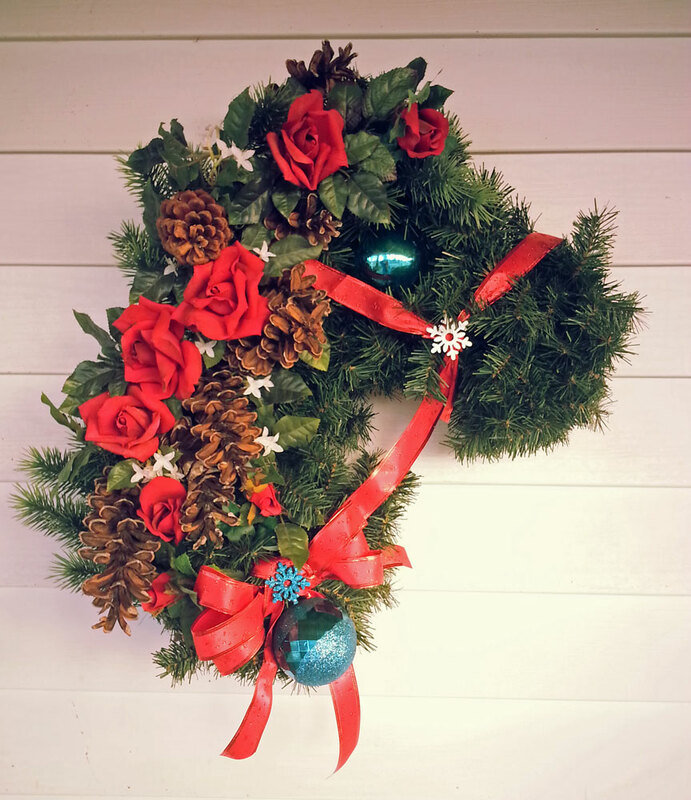 Start with two wire coat hangers for the base of your horse head wreath. Twist them together as shown. Then bend roughly into the shape of a horse’s head and neck. Begin wrapping garland around the hangers. As it looks more horse-like, build up ears. If you have another texture of garland, weave it along the “neck” to become a mane. As you can see in one photo, I used a rose garland as the mane for one. I’ve also used poinsettia garlands. If you’re hanging it outside, it will get weathered and fade, so recycling pieces that don’t look like they did new works just fine. 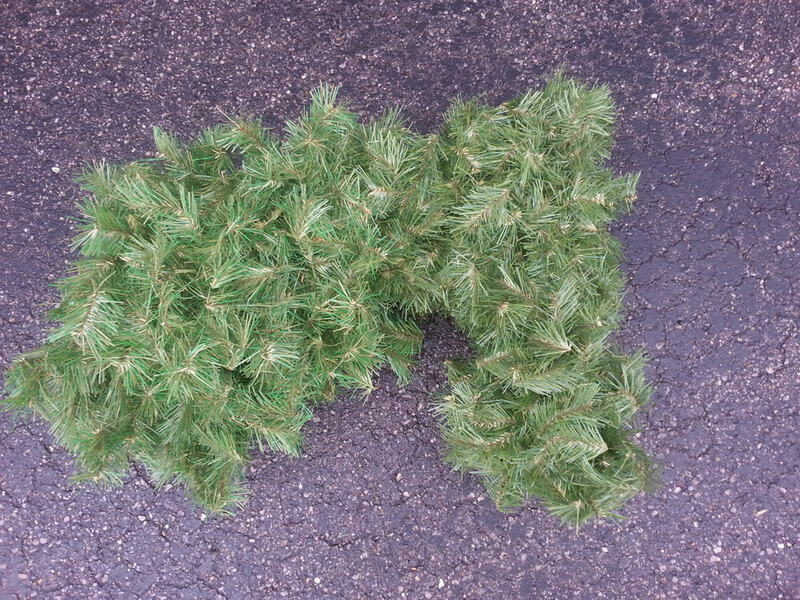 Add (or better yet, recycle) some balls, pine cones, etc. 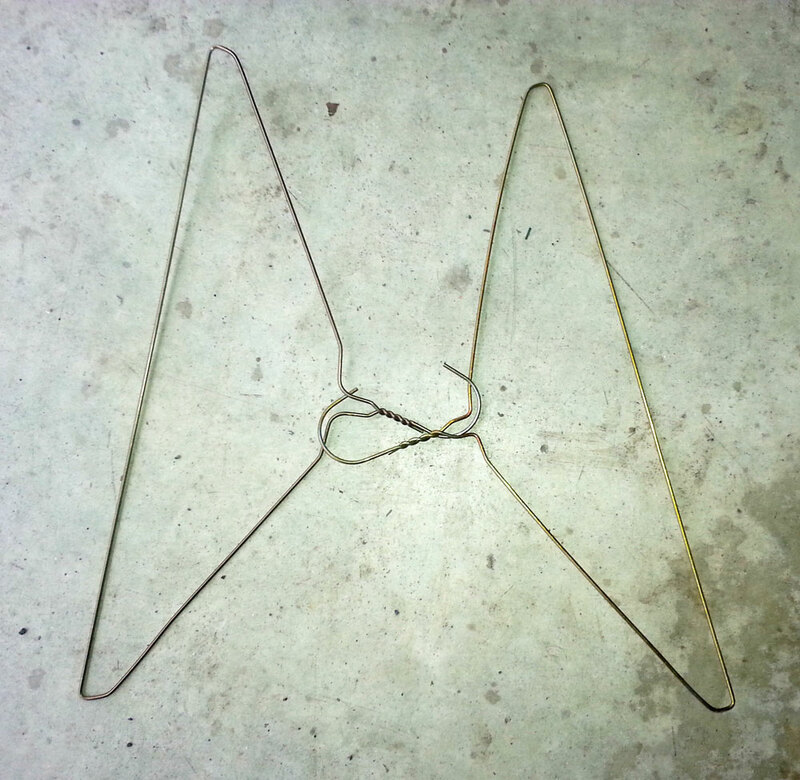 Make a halter or bridle out of wide ribbon. 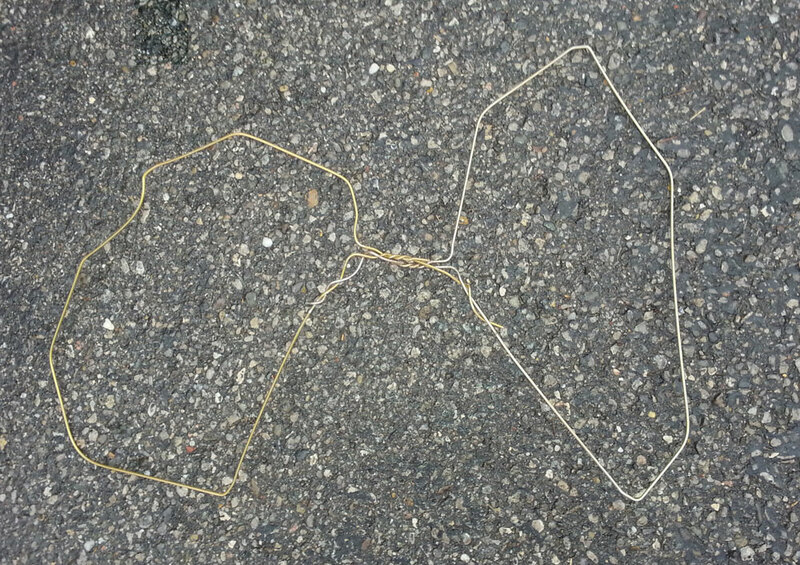 (Wired-edged ribbon is easier.) Add an eye. And a horn, if you’re making a unicorn. 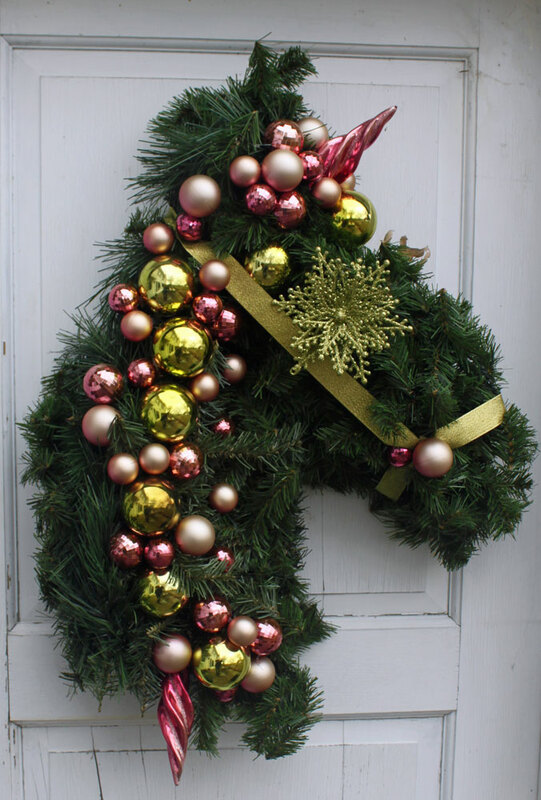 Hang your horse head wreath and enjoy!